Our gallery used to be a grain storehouse of Urpola farm. The storehouse was carefully renovated 2005 and it has three layers of interesting old times space for contemporary art. The total internal area is 600 square meters. The space is divided into small ”rooms” with grain washed old wooden walls. So there is ”privacy” for each artist as well as large space in order to give a wider view. Because of a lack of heating, the best season for exhibitions is summer. Short exhibitions and happenings have been arranged at Easter and before Christmas. 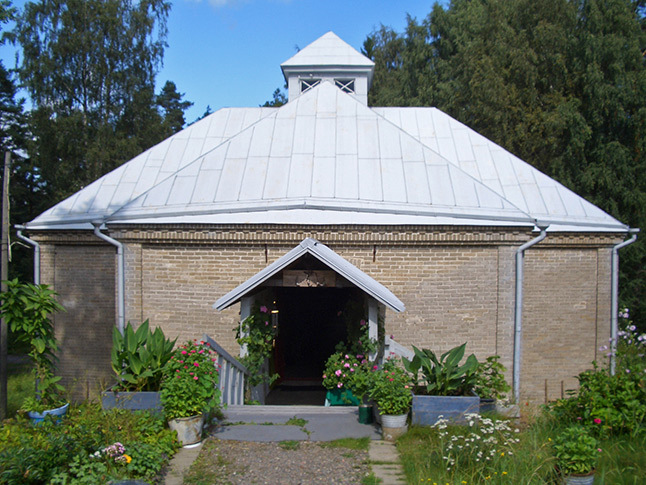 On the opposite side of the yard there is Urpola Kutomo and Gallery, where you can see more art and handicrafts, e.g. hand-woven rugs. In near vicinity is a quilt shop, Tilkkutex. The main building of the farm serves today as a restaurant. There also is possibility to stay overnight in a log or straw bale cabin. 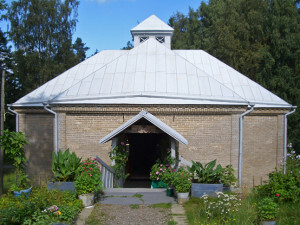 For bathing there is Viking Sauna, it is a smoke sauna, the most traditional type of saunas.